Disney Series 8 3D Foam Key Rings blind foil bags featuring characters: Green Army Man, Eve, Mr. Incredible, Wheezy, Wall-E, Mrs. 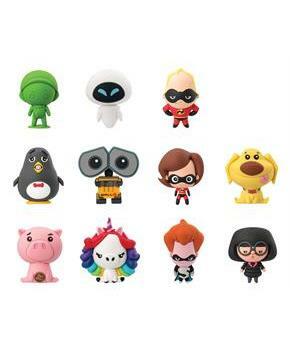 Incredible, Hamm, Rainbow Unicorn, Syndrome, as well as our two exclusive characters Mrs. Hogenson from the Incredible and Dug the lovable dog from Pixar's Up. Figure character is not guaranteed - random blind packaging. Figure character is not guaranteed - random blind packaging. Disney Series 8 3D Foam Key Rings blind foil bags featuring characters: Green Army Man, Eve, Mr. Incredible, Wheezy, Wall-E, Mrs. 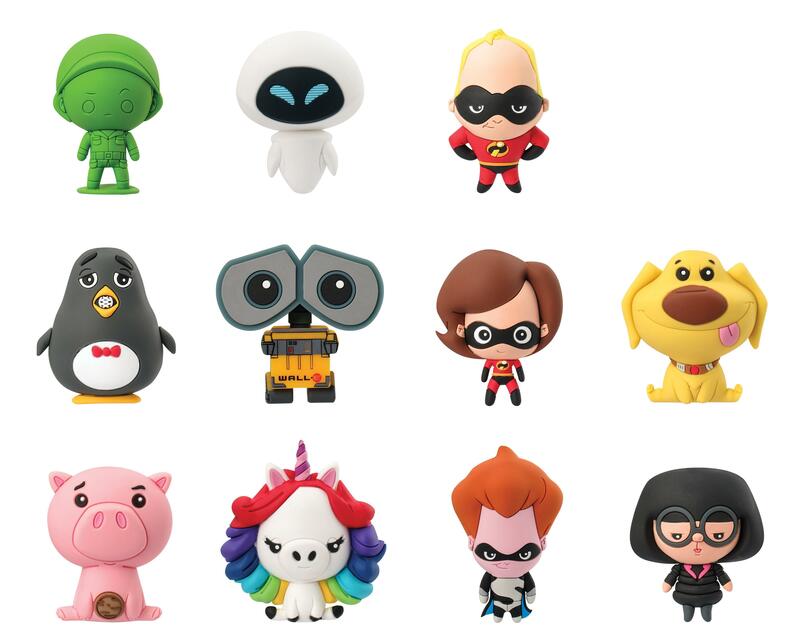 Incredible, Hamm, Rainbow Unicorn, Syndrome, as well as our two exclusive characters Mrs. Hogenson from the Incredible and Dug the lovable dog from Pixar's Up.